FCA has been the leader in industrial equipment packaging for over 25 years. Leading OEMs turn to us for custom industrial packaging designed and built to protect billions of dollars in heavy and delicate industrial equipment every year. Our engineers design custom packaging that delivers maximum value over the intended lifetime of the packaging—from expendable, one-use solutions to reusable and returnable packaging. In addition to Just-in-Time (JIT) manufacturing, we also perform thorough packaging tests in our ISTA-certified packaging lab to ensure we meet ASTM standards for compression, vibration and impact forces. In order to protect heavy equipment over multiple uses, we often customize steel equipment racks and skids. Our returnable packaging is designed around the contours of specific equipment allowing heavy equipment to be directly mounted to the packaging. In the example above, our approach to low-weight design allowed our customer to cut freight costs since an extra load could be added without exceeding trucking weight limits. FCA is the industry leader in designing, manufacturing and managing heavy-duty custom engine skids for our customers. This particular product holds a 3,000 lbs. diesel engine and gets recycled 3-5 times. FCA’s engineers deliver maximum value based on the needs of specific equipment. 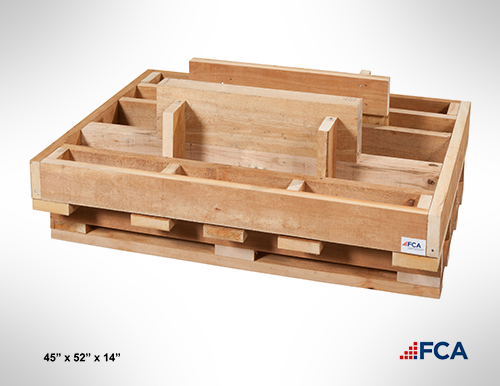 Whenever possible, FCA turns to reusable and returnable packaging, utilizing wood, steel, plastic and hybrid materials. We specialize in customized packaging for equipment with unique needs. 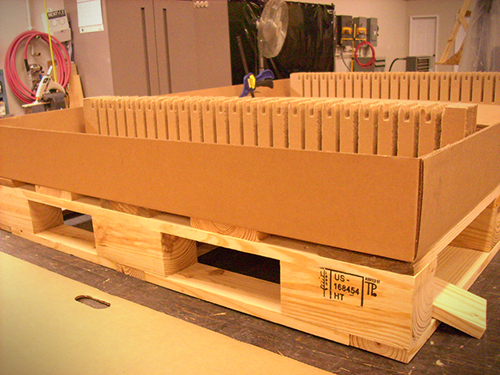 Sometimes we develop solutions so customized that they elude typical packaging classifications. 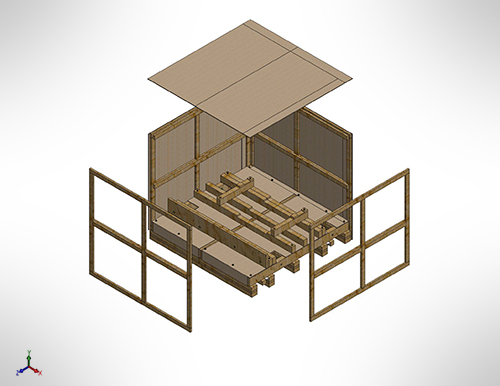 For example, we designed the skid-mounted box above to protect equipment that weighs tens of thousands of pounds. 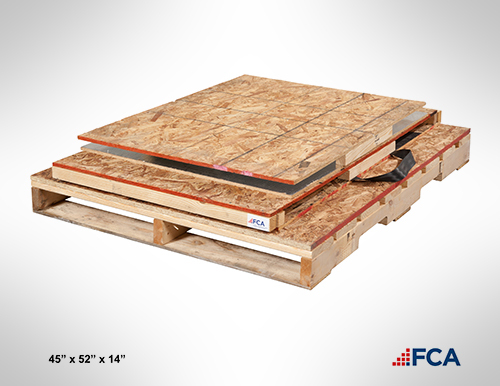 OEMs turn to FCA to design custom boxes and pallets that can protect delicate or fragile industrial equipment, like solar panels or aerospace assemblies, during transit. 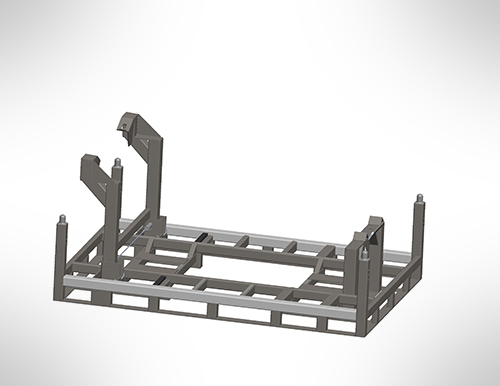 FCA specializes in designing and building custom skids for heavy industrial equipment. 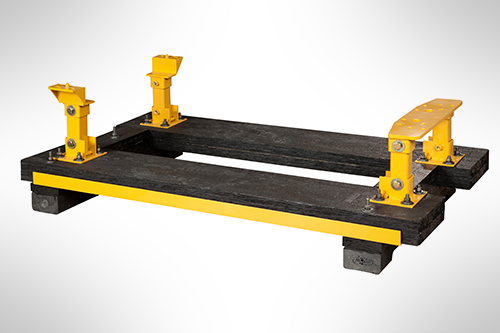 We customize skids to the precise dimensions of equipment, so equipment can be directly mounted directly to skid. 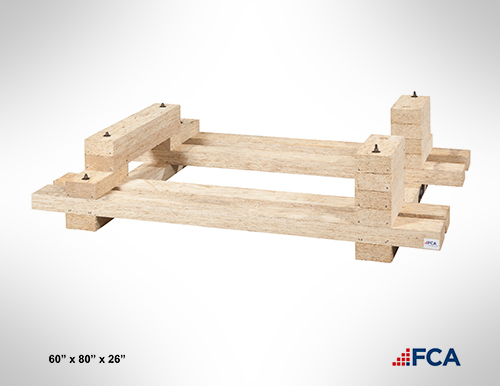 This skid is constructed from engineered wood and heat treated pine and is designed to protect an 1,800 lbs. diesel engine during transit. 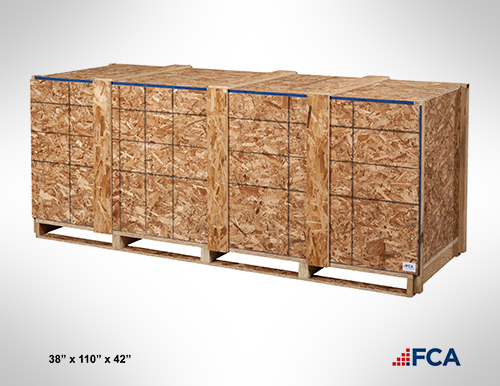 We build custom crates and boxes of all sizes to protect industrial equipment of all sizes, shapes, and weights. 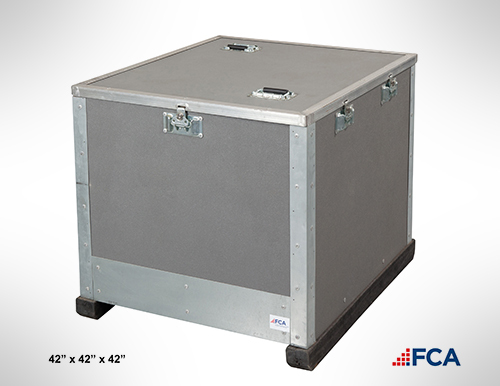 No size is too large or small—from fragile aerospace components to heavy industrial equipment weighing 35,000 lbs. or more.